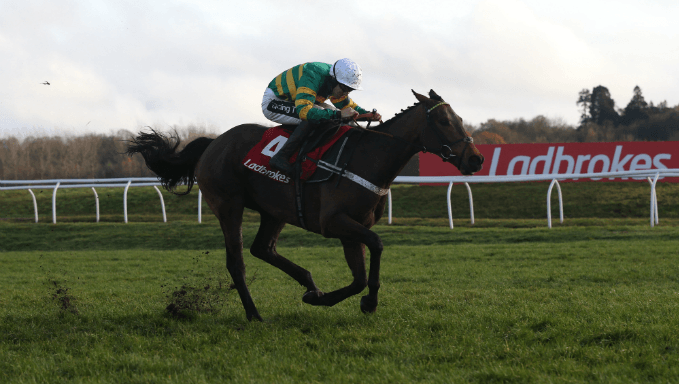 Challow Novices' Hurdle Betting Tips: Can Champ Be Beaten? How good could Champ be? After three runs he is Britain's highest rated novice, and odds-on favourite in Saturday's Grade 1 Challow Novices' Hurdle betting. Closely related to three-time Cheltenham Gold Cup winner Best Mate, the Nicky Henderson-trained novice is unbeaten this season, winning three by a combined 24.5 lengths to take the biggest handicap mark awarded a novice so far this season at 150. He's the 10/1 favourite for the Ballymore Novices' Hurdle at the Cheltenham Festival next March and now stepping into Graded company for the first time, but will he pass the test? While Champ (5/4 favourite) has won his last three starts over hurdles, by far the best of those performances came in handicap over an extended 2m4f on soft going at Newbury earlier this month. Racing off a mark of 139, the six-year-old pulled clear of his rivals for a 4.5 length victory. He was an impressive winner that day but looks too short to back in the Challow Novices' Hurdle betting, where he is stepping up markedly in grade. Alsa Mix (6/1 Paddy Power) looks a far better bet. She broke her maiden tag in a point-to-point by 10L on heavy going in January and it was then slightly surprising that she recorded her first two racecourse successes on good ground, including on hurdling debut over an extended 2m2f at Exeter last month. She impressed in those good ground efforts, but stepped up markedly on what she had shown there when running out the convincing winner of a 2m4f Grade 2 novice hurdle at Sandown on heavy ground last time out. The greater emphasis on stamina on her first attempt at the 2m4f distance appeared to suit, as did underfoot conditions, which are forecast again for the Challow Novices' Hurdle. Trainer Tom Lacey is operating at a 20% win-rate, having saddled three winners from 15 runners in the last 14 days, three of his four runners on Wednesday finishing in the frame. He saddles the highly promising Kateson (5/1 Bet365), a bumper winner who is unbeaten in two starts over hurdles. Kateson was a debut bumper winner on good going in October last year, but has run almost exclusively on soft and heavy ground subsequently, with a Grade 2 second in a 2m1f bumper at Aintree (soft) in April his best effort prior to embarking on a hurdling campaign this term. The five-year-old's most impressive effort from two starts over jumps came when seeing off 11 rivals over the Challow's course and distance at the end of November. The runner-up that day, Mr Pumblechook, recorded an impressive victory at Plumpton just over a fortnight later.